A work of encyclopaedic scope and informed depth, this study of the monstrous in medieval culture is a major addition to earlier theories of the grotesque. A stimulating and convincing insight into the philosophical and literary significance of teratology, the study of monsters, in the European Middle Ages ... This study can be used in at least two ways. First, it can be seen as a well-argued and well-documented monograph which makes sense of a complex set of ideas and images. Secondly, it can be used an encyclopaedic introduction to many neglected aspects of mediaeval iconography and as a vade mecum for the shadowy but fascinating world of the monstrous. The theory which underpins Deformed Discourse is closely and cogently argued. 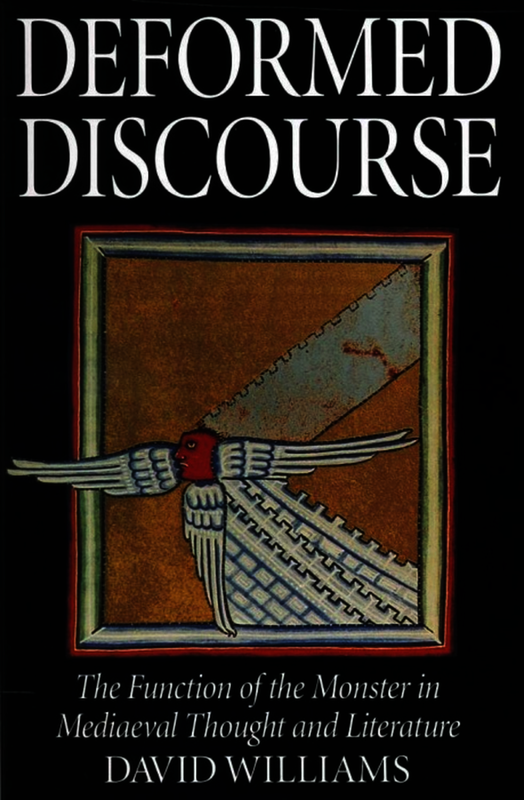 The treatment of monstrosity as an engine of paradox, purging the mind of the temptations of mimesis, is a fruitful and illuminating one, engaging both with modern semiotics and with the aspirational character of mystical discourse, in which plain analogy will never bear the spirit far enough on its journey. ... A cogent and satisfying work ... Which will have a continued impact in the ongoing discussion of monsters in the Middle Ages. This fundamental study marks a milestone in the history of research on the monstrous in the Middle Ages and on Western ways of thinking. I can state without hesitation that Williams has produced a magnum opus on this subject, with a highly personal approach, providing an overview of all previous works on the monster and the philosophical, theological, aesthetic, and literary context. His vision is at once encyclopedic, critical, and completely fresh ... This is clearly the work of a researcher in full maturity. Its many qualities place it in the front rank. David Williams is Professor of English at McGill University, Canada.